This PDF 1.4 document has been generated by Writer / LibreOffice Vanilla 6.0, and has been sent on pdf-archive.com on 18/07/2018 at 22:03, from IP address 173.239.x.x. The current document download page has been viewed 816 times. File size: 50 KB (12 pages). 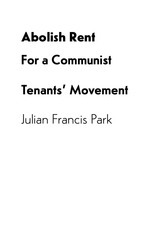 division of interest between capitalist and proletarian tenants. and stated objective are only one part of the answer. and some less easily, co-opted. 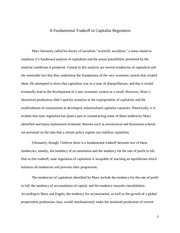 reproduction of surplus capital alongside surplus populations. any genuinely communist demand must be. the abolition of all other racial capitalist social relations. state, by a cooperative, by land trusts. through a capitalist production process, is a commodity. less habitable housing. Even social housing, of whatever form. the costs of the reproduction of housing. is no hope that social housing will be anti-capitalist. This file has been shared by a user of PDF Archive. Document ID: 01881162.